We consider all men of St. Mark’s to be part of the fellowship of United Methodist Men. Our group is connected with other UMMen throughout the Easton District and the Peninsula Delaware Conference and even at the national level through the General Commission of United Methodist Men (GCUMM) in Nashville. Invite Waterfowl Festival visitors to St. Mark’s Church by cooperating with Troop 190 to serve Rockfish Corn Chowder, oyster fritters, etc. 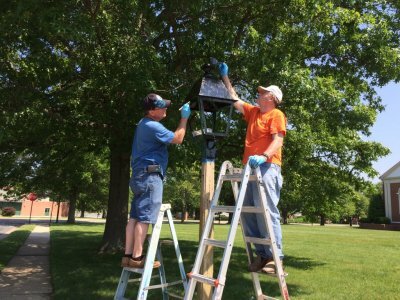 Maintenance projects at the church such as painting the outdoor fixtures and the playground equipment. 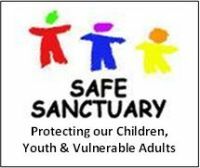 Community ministries including assistance to families in need, guidance and financial assistance for youth mission trips. Host the Pen-Del Conference annual UMMen Spring Gathering. Honor women of St. Mark’s via a river boat cruise and/or special Valentine Day luncheons. Design and construct backdrops and exhibits for Bible School and other church events. Contact the church office to add your name, phone number and email address to our list. e-mail the church office using the address shown below. at the annual Waterfowl Festival to operate the Church's food consession for 3 days. The UMMen are most appreciative of their assistance and they share the profits of the endeavor with the scouts.